Campbelltown is a historic city just 50 minute’s drive south-west of Sydney. With Georgian and Victorian terrace-style buildings and mansions, it’s a great place to spot historic sights. You can also indulge in family-friendly activities like go-karting or bowling, or relax with some shopping or golf. There’s even market shopping and a spooky festival too! 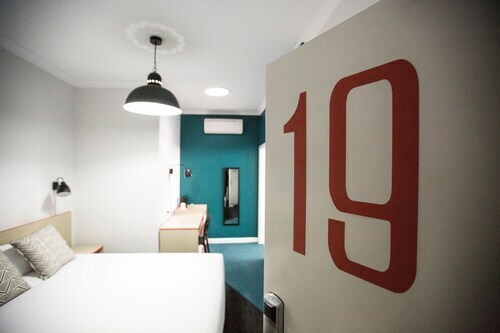 Book your Campbelltown hotel with us and enjoy a change of pace from the big city. The Tharawal people are Campbelltown’s original inhabitants. When the first fleet arrived in 1788, they brought along six cows that ran away and weren’t seen again for seven years. The locals managed to spot them though, and painted them into the rock art at Bull Creek. In 1795, the British explorers found a herd of about 60 cattle in the Camden area. In 1820, Governor Macquarie decided to build a township in the area and named it after his wife Elizabeth Campbell. If a good old historic ramble into the past is on your agenda, start by swinging by the Quondong Visitor’s Centre and pick up a pamphlet. You can check out Emily Cottage, a quaint sandstone house built in the1840s, or the Campbelltown Art and Craft Society, which opened in 1843 as Farrier’s Arms Inn. If you have kids, or just want to have a little fun yourself, there are heaps of options. Rocket around a 500-metre outdoor go-kart track at Fastlane Karting, or take on some of Campbelltown’s 10-pin bowling or laser tag at Kingpin Bowling or M9 Laser Skirmish. For a change of pace, tee off at Campbelltown Golf Club or go shopping at Macarthur Square Shopping Centre or Campbelltown Mall. Both Campbelltown and Camden are filled with satisfying dining options from cool cafes to gourmet food from around the world. If you prefer to shop market-style, there are a number of them around, from the Appin Markets held at Appin Public School every month to the Camden Arts and Crafts Market at Onslow Park. Check out a show at the 180-seat Campbelltown Arts Centre, which has a nearby sculpture garden and tea house. If you’re a sports fan, you can pay a visit to Campbelltown Stadium or Leichhardt Oval. Each November, the Festival of Fisher’s Ghost comes to town. Local farmer Fred Fisher disappeared in 1826 and legend has it that about four months later, another farmer named John Farley saw his ghost sitting on the rail of a creek bridge. The ghost pointed to a nearby paddock where Fred Fisher’s body was later found. It turns out his neighbour George Worrall murdered him in order to sell his horse and possessions. Held over 10 days, the Fisher’s Ghost Festival is a surprisingly lively event, with a colourful street parade, a ghostly fun run, a carnival with fireworks and the Fisher’s Ghost Art Award. Start with a flight to Sydney. Once you’re in Sydney, you can hire a car and take the M5 South Western Motorway or jump on a bus or train. Campbelltown has something for everyone. Just watch out for phantoms! How Much is a Hotel Room in Campbelltown? 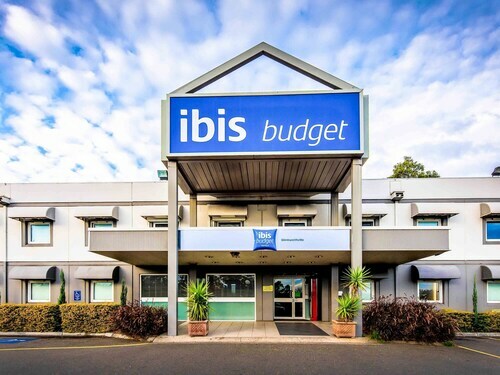 Hotels in Campbelltown start at AU$67 per night. Prices and availability subject to change. Additional terms may apply.